The recent change of leadership at H&F Council has prompted more listening from the council. And when the vocal residents of Hammersmith and Shepherds Bush said they thought the new town hall scheme was too tall and too ugly, it was ignored. But now the council is listening as they announced plans to rethink the scheme in a special newsletter last week. It’s an extraordinary result for residents and a good moment for local democracy. However, the rethink may come at a cost. It’s rumoured that the plan will force the sacrifice of the public square that would have been situated in front of the historic town hall. If the scheme is less tall, simple economics mean it must be wider. So, bye bye public square. Which is a shame. Residents will be at the heart of new proposals to regenerate the area around Hammersmith Town Hall – with a height limit of eight storeys a ‘cast iron guarantee’. This is the message from Hammersmith & Fulham (H&F) Council’s new leader, Cllr Nicholas Botterill, who today (July 19) signalled a radical rethink in the plans to breathe much needed new life into the west end of King Street. Announcing that the old proposals – which were worked up with King Street Developments Ltd (KSD) – will now not be pursued, Cllr Botterill said the council and KSD have ‘listened and learned’ from the opposition to the previous scheme. The historic regeneration proposals had been approved by the council’s planning applications committee, in November 2011, but the referral to the Mayor of London was withdrawn in December when it became clear that the Greater London Authority had concerns over the proposed height of two of the residential blocks and the resulting impact on views from across the river. Cllr Botterill said the revised scheme would not be higher than the existing Hammersmith town hall extension meaning that eight storeys would be a maximum possible height. Cllr Botterill said: “We got it wrong with the previous King Street proposals and we have learned from it. We guarantee the tallest buildings in a new scheme will not exceed the height of the existing town hall extension. “The council’s office space requirements at the time and the impact from the economic downturn on residential values pushed the height of the two tallest blocks too far and we will not repeat this mistake. 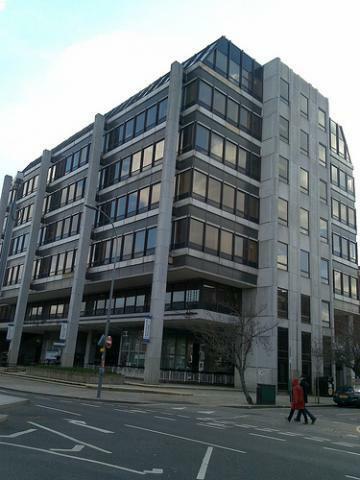 ”However, the fact remains that we still need to demolish the decrepit, life-expired and ugly 1970’s town hall extension – which is costing taxpayers a fortune to keep running – and regenerate a very run-down part of Hammersmith in the process. KSD will be reviewing the scheme over the coming months and a further consultation with residents’ and amenity groups will follow later in the year.